Last year on my birthday, I made a bucket list. A list of all the things I wanted to do before I turned 40. Yesterday was the deadline, I mean my birthday. And well, I am a total bucket list failure. 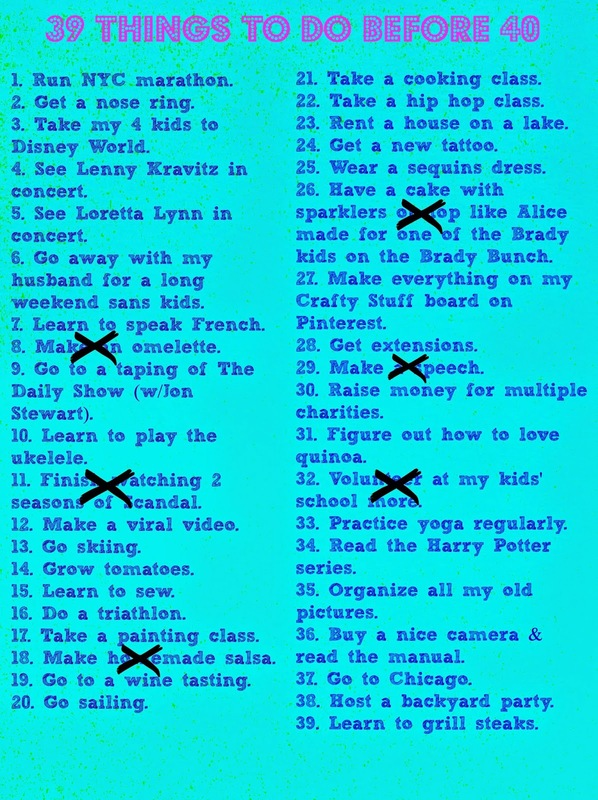 But I don't feel too badly about the whole thing, especially because I got number 26 done last night! I also did so many other amazing, wonderful, crafty, ridiculous things this year to make up for everything I didn't do on my list. Now *I* want a sparkler on my birthday cake! You should totally have sparklers on your birthday cake! They are the best!